The November garden is like the last glowing embers of a beautiful fire before the cold sets in. I appreciate the painted leaves and brave final flowers all the more because of their impermanence. 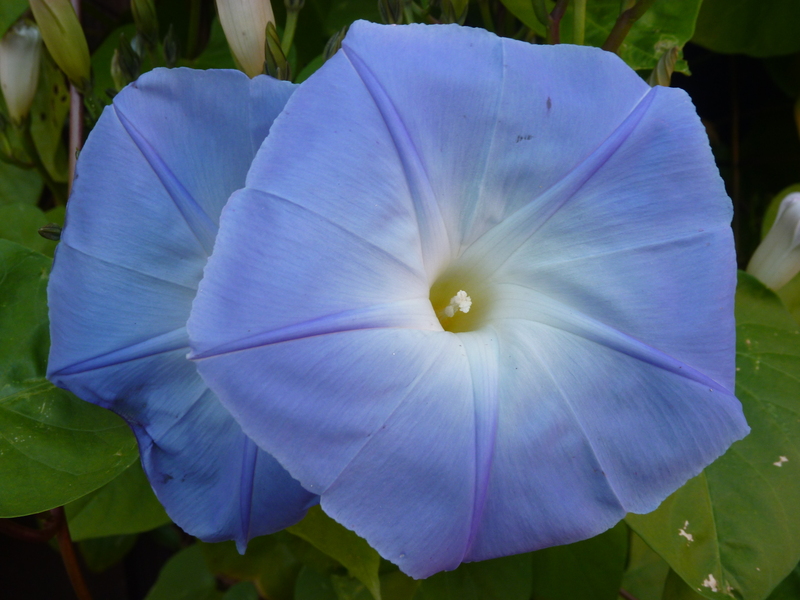 Here are some of the “blooms” in my life and in my garden over the past month. 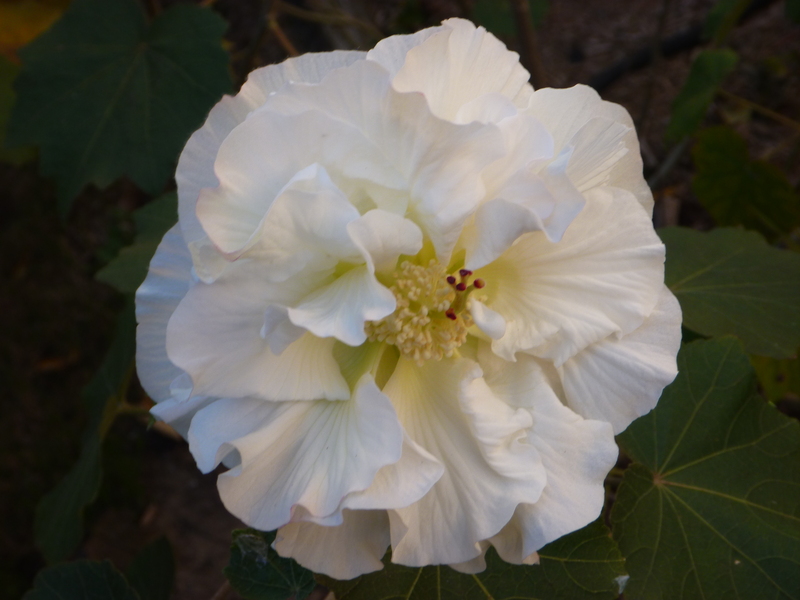 * Confederate Rose Mallow (Hibiscus mutabilis) – A canvas for the sun! Situated on the side of my house, I could miss this bush’s show if I didn’t traipse through the mud to gaze at it. It waits until November to bloom, just weeks before a killing frost. I love it anyway. Each of its brief late-autumn blooms billows white upon first opening. The sun paints the petals pale pink, deepening to dark rose in a couple of days, before the bloom shrivels. My husband of 13 years is a master storyteller, entertaining us on the road trip to Mt.Magazine for hours! Those we think we know best remain a mystery! Just had an impromptu tea party in the back yard yesterday with an elderly neighbor who showed up on her walker. I cut her a fresh ‘Don Juan’ rose to enjoy with her cookies and iced tea. 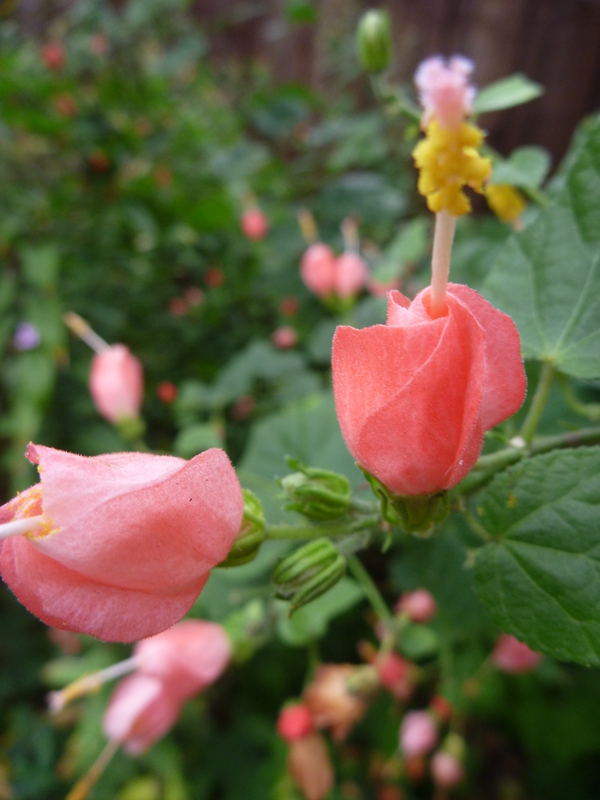 * Turk’s Cap, donning myriads of pink hats this month! * Spanish Bluebell bulbs, shipped here all the way from Holland: small brown spheres promising a beautiful spring. * Savoring the rose blooms the day before a hard freeze is predicted, with a slight twinge of the bitter-sweet feeling I had when I put my then-fiancé on a plane to study abroad: ’Til spring, sweet roses! * And then a miracle . . . They didn’t board the plane to winter dormancy! Though the elephant’s ear, thunbergia grandiflora, sweet potato vine, morning glory, and vinca were snuffed out by the cold, the roses continue to flame with beauty! 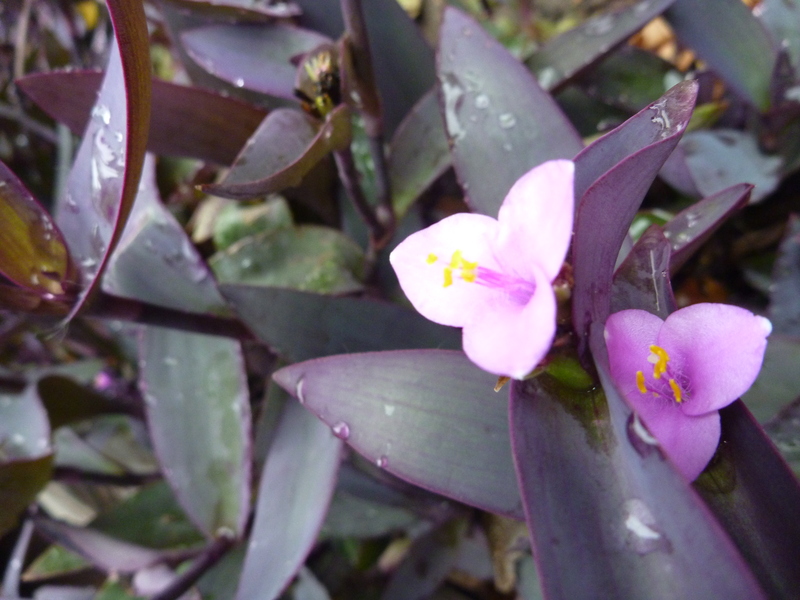 * November weather is acting as a florist’s refrigerator, preserving each bloom for days on end. The eye-catching trees have transformed the roads, leading my gaze upward, making my heart grateful. The bunnies ate my first-attempt seedlings, so I was late getting this vine started. It didn’t bloom until a week before the frost nipped it. Oh, but look at it! It was worth it! * The gluten-free, dairy-free dressing I made, gone, happily gobbled up by loved ones! Thank you, God, for all the blessings you so generously bestow. This entry was posted in Monthly "Blooms" and tagged autumn blooming plants, confederate rose mallow, counting blessings, Gardening, inspiration, November. Bookmark the permalink. I loved your November memories and pictures. You are such a precious spirit, Carol. I love you so much. Thank you for my beautiful tea cup and saucer. I will always think of you when I drink from it. The tea cup was always meant for you. 🙂 I love you!